Nothing says holiday fun like an ugly Christmas sweater! Here are the best of the worst Christmas sweaters you can buy this year. Unless you’ve been living under a rock, you’ve heard a certain children’s song about a young shark and his family. 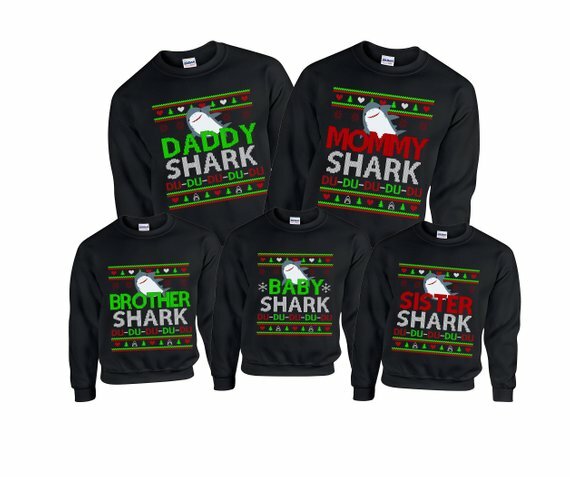 This collection of sweaters is perfect for fans of this popular shark family. 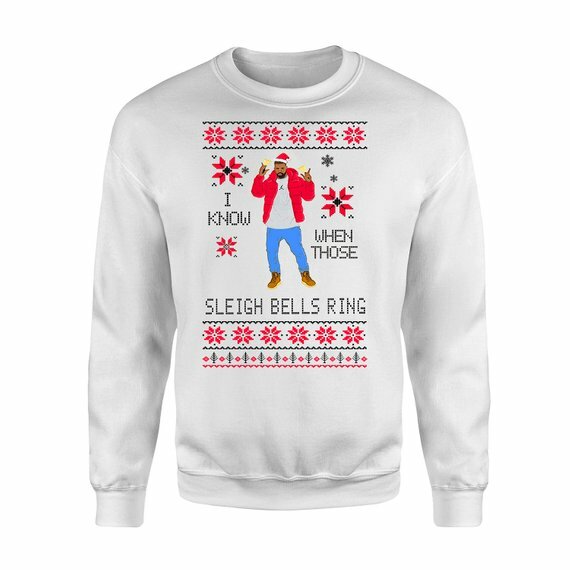 Buy these ugly Christmas sweaters on Etsy here. 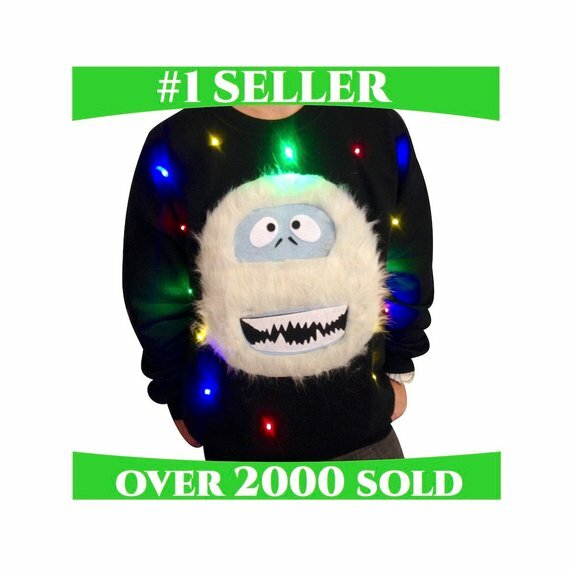 Go all out this season with a light up abominable snowman sweater! 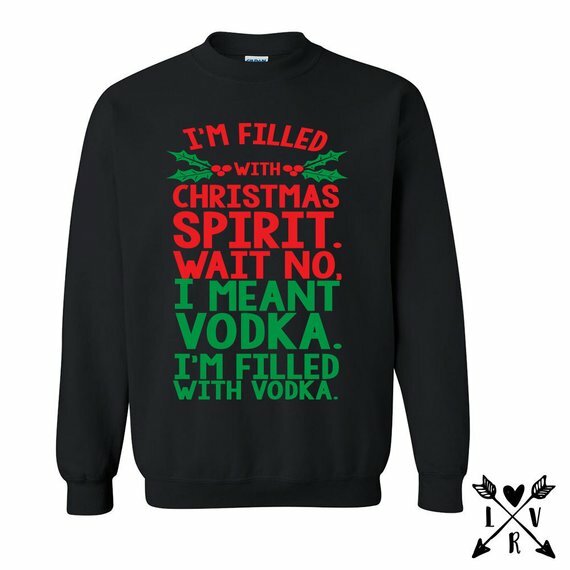 This top selling design is perfect for making a splash at all the holiday parties this season. Buy this sweater on Etsy here. Ramp up the tackiness with this gaudy sweater featuring the image of an infamous holiday grouch. This sweater is designed to be worn by women who don’t mind being the center of attention for all the wrong reasons! Buy this ugly xmas sweater on Etsy here. 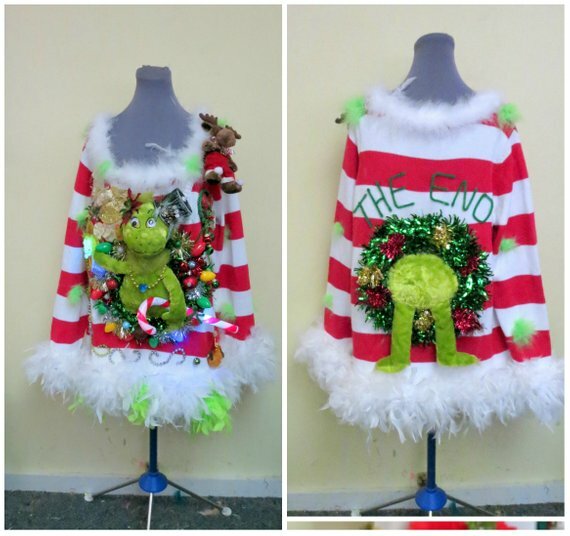 This made to order reindeer sweater features colored lights throughout the front. Choose from grey or red! Buy this ugly reindeer sweater on Etsy here. 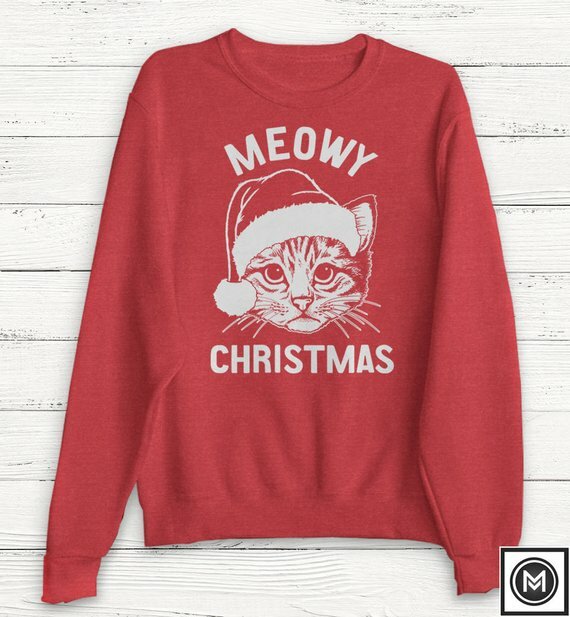 For all the cat lovers out there, this big and cozy sweater will add some fun to your Christmas this year. Choose from over 10 colors! Who can forget the laughable dance moves of everyone’s favorite Canadian rap star? This sweater is the perfect choice for a holiday dance party! If you like a little something extra in your eggnog, you’ll appreciate this ode to spirits. Choose from wine, vodka, or beer themed designs. This ugly Christmas sweater doubles as an ugly Hanukkah sweater. 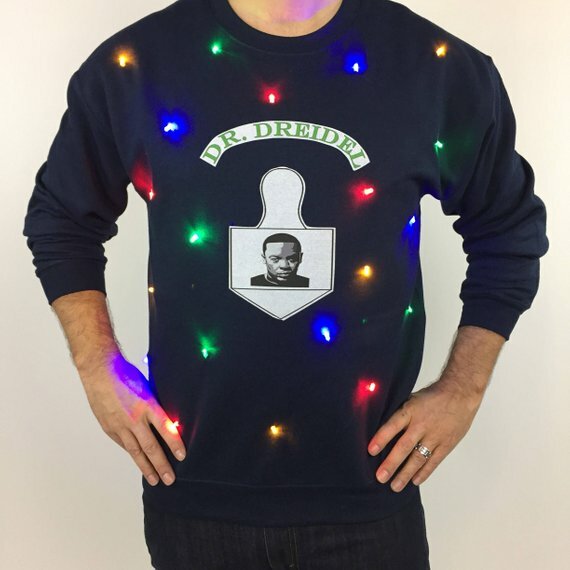 Make a scene all season long with this light up Dr. Dreidel sweater. 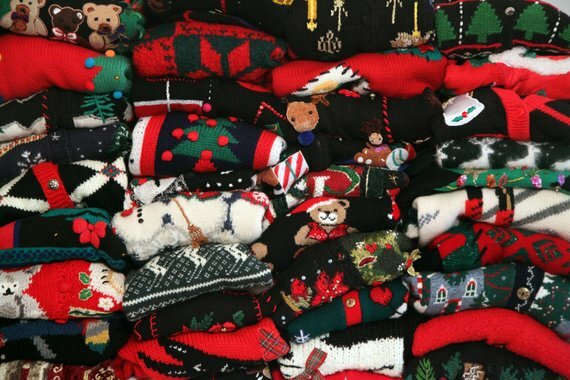 This is the motherlode of ugly Christmas sweaters! Choose from over 50 vintage Christmas sweater designs. Ugly Christmas Sweaters are a fun way to celebrate the holiday season. 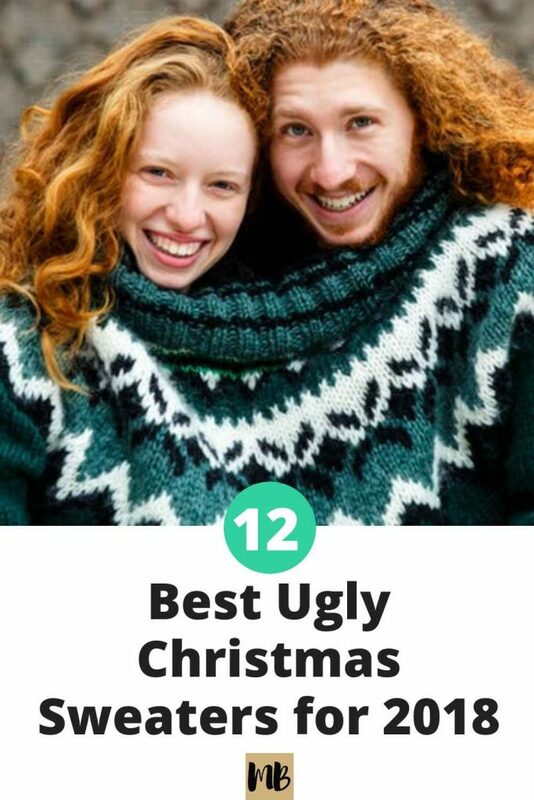 Which of these Best Ugly Christmas Sweaters will you be wearing this year?